Is seeing believing? An emerging visual trend tells u it’s not. Appearance of object and its material are being paired unexpectedly. 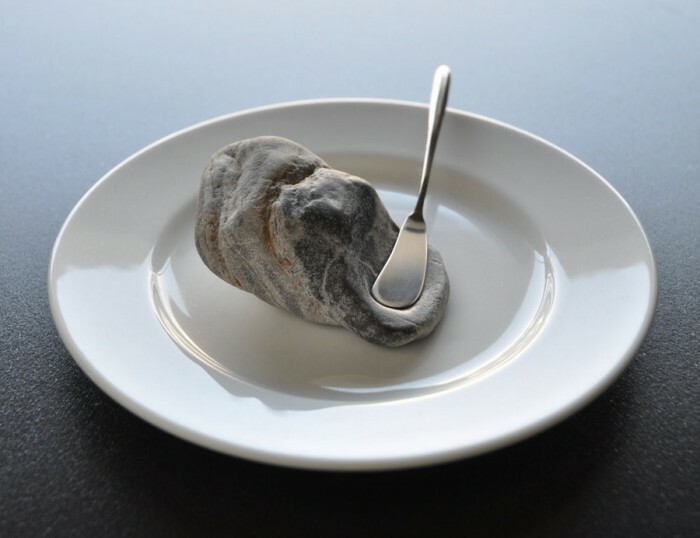 For example, Japanese artist Jiyuseki crafted stone sculpture as if it is soft and malleable. The appearance of the sculpture is a contrast to the texture of stone. 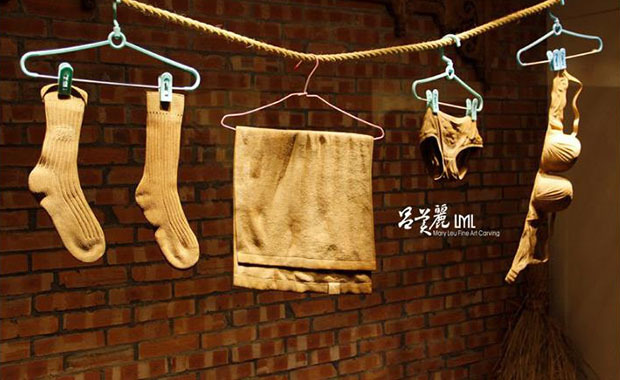 Or you look at Taiwanese artist Mary Leu’s clothes sculpture. 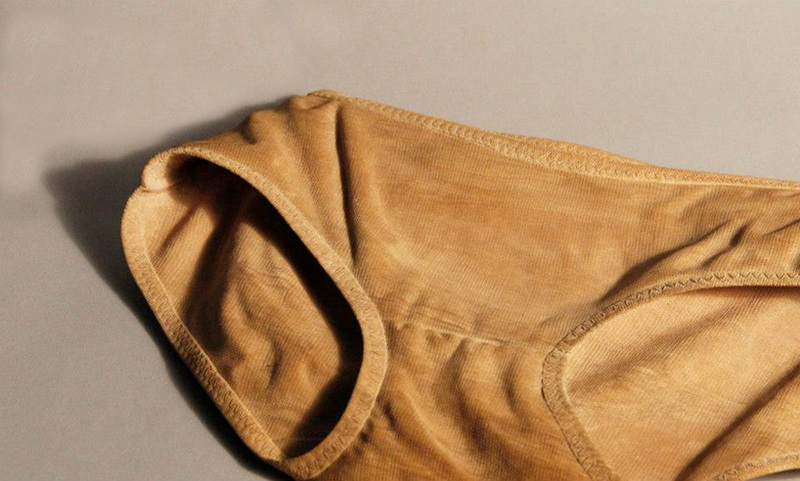 The seemingly yellowed undergarments are not made of fabric – but wood. In both cases, spectacular craftsmanship of the artist creates illusionary visual effect. The folds, creases and textures are fully imitated just like it is made of another materials. On the other hand, the potential of textile is being explored to mimic the properties of other materials. UK designer Ella Doran created Geo Carved Rug that gives a 3D look. It is inspired by Ella’s photographical work which captures the shadow and surface textures of architectural walls. 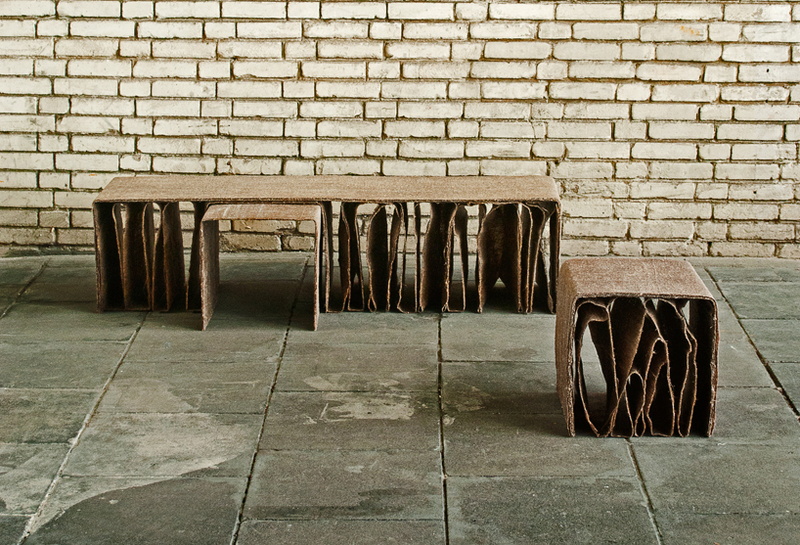 And for Italy-based design studio yet/matilde, its continuous function project explores the three-dimensional potential of jute. Different layers of jute were put together to become furnitures. Very much look like cardboard furniture, but somehow the jute gives volume that you won’t expect. So what you see is not what you get. By experimenting misleading surface, artists and designers invite audience to examine their art in closer details.